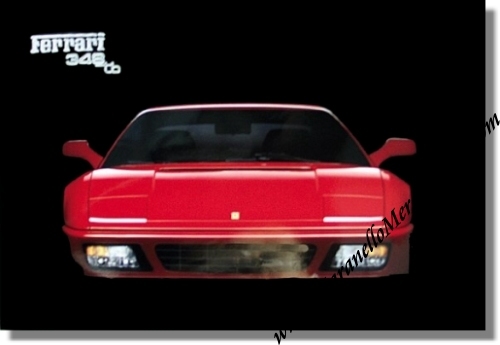 Ferrari 348TB Poster, Front View. A truly beautiful poster that is not done justice by the picture shown here. Printed on heavy stock (170grms) and glossy finish. It measures approximately 39.5 x 27 inches. Ferrari Print number 590/90 5M/5/90 issued in 1990, printed in May 1990 by Arbe, Modena, Italy.